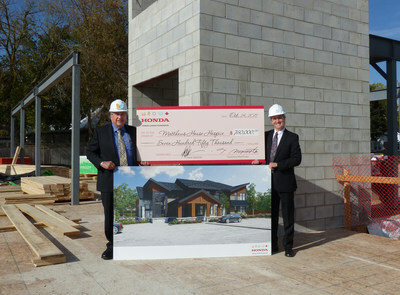 ALLISTON, ON, Oct. 23, 2017 /CNW/ - The Honda Canada Foundation today announced a $750,000 donation in support of the Matthews House capital campaign, as they expand their valuable services to families in South Simcoe. Matthews House launched its most recent campaign in 2016 to raise the necessary funds to build a new, state-of-the-art 10-bed facility. This commitment will directly support the construction of the new facility and provide additional hospice services and palliative support for families in the community.